Suburban tramway (Tamagawa / Setagaya / Kinuta system): 16 km. Horse-drawn tramway: 25 June 1882 - 1903. 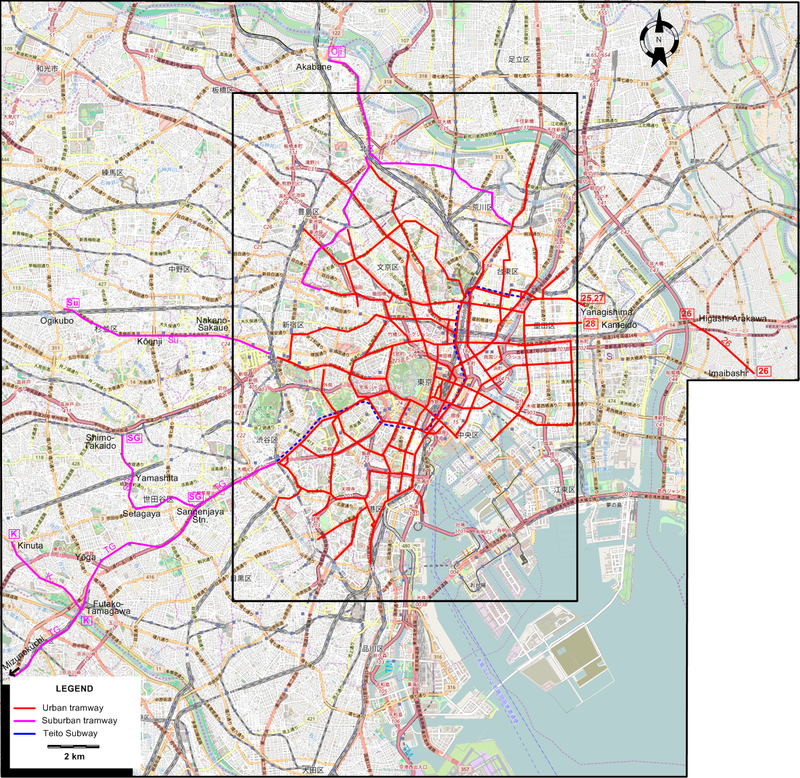 Urban electric tramway (including those of the Ōji Electric Tramway): 22 Aug. 1903 - today. Suburban electric tramway (Tamagawa/Setagaya/Kinuta system): 6 Mar. 1907 - today. Subway (Chikatetsu), Teito system: 30 Dec. 1927 - today. Subway (Chikatetsu), Toei system: 4 Dec. 1960 - today. Tokyo Waterfront Area Rapid Transit: 30 March 1996 - today. Monorail: 17 Sept 1964 - today. Automated guideway transit: Nippori-Toneri Liner (30 March 2008 -today); New Transit Yurikamome (1 Nov. 1995 - today). 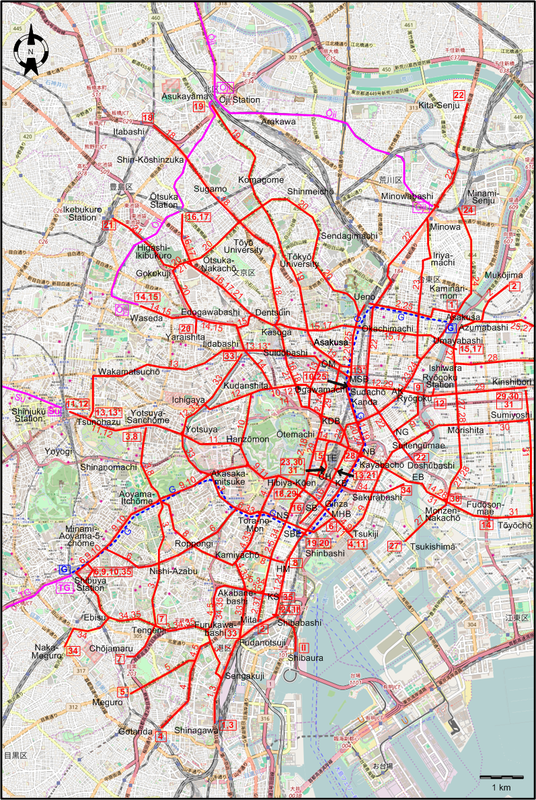 Urban electric tramway (including those of the Ōji Electric Tramway): 1372 mm. 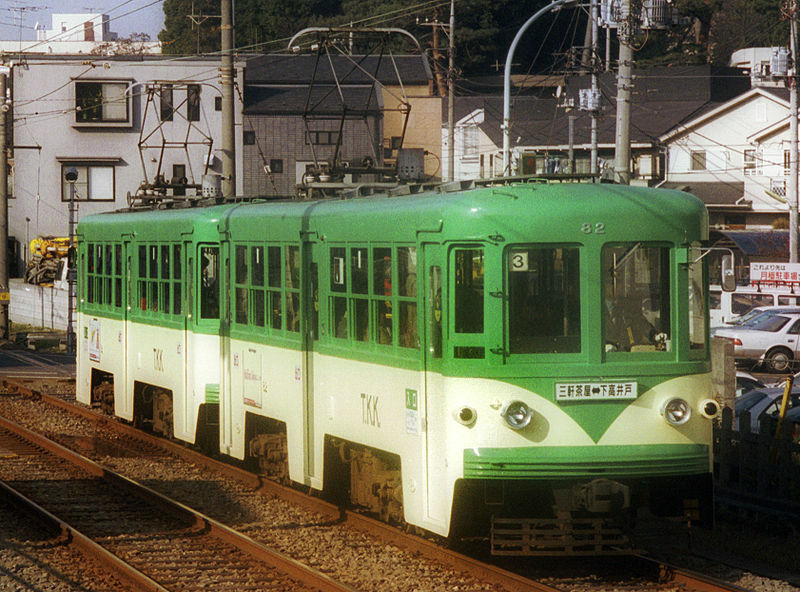 Suburban electric tramway (Tamagawa/Setagaya/Kinuta system): 1372 mm. Suburban electric tramway (Seibu Railway, later tram line 14): 1067 mm. Subway: 1067, 1372 and 1435 mm. (depending on the line). Tokyo Waterfront Area Rapid Transit: 1067 mm. Demery, L.W., Forty, R., DeGroote, R. and Higgins, J.W. 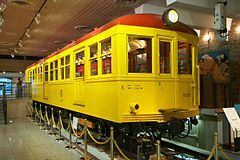 Electric railways of Japan - Vol.1: Tōkyō and Northern Japan. Milton Keynes: Light Rail Transit Association, 1983. 廃線都電 - 路線案内図 (Haisen Toden - Rosen-annai-zu [Abandonment of the Metropolitan Trams - Guide map to the route network]). Tokyo: Jinbunsha, 2007. 林順信　(Hayashi, J.) 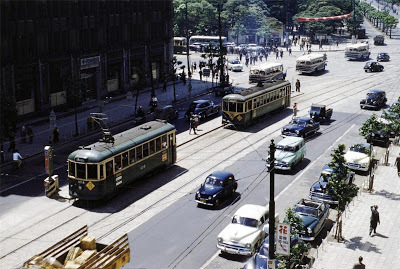 都電が走った街・今昔 (Toden trams running in the streets - Now and then). Tokyo: JTB, 1996. 林順信　(Hayashi, J.) 東京市電名所図絵 (Pictures of Tokyo trams in scenic places). Tokyo: JTB, 2000.